Dr. Edward Andujar, M.D. received his medical degree from Harvard Medical School in Boston, Massachusetts and completed his residency at Temple University Hospital in Philadelphia, Pennsylvania. 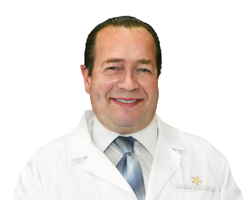 Dr. Andujar brings over 26 years of practical experience to LifePharm in the area of Research and Product Development, Marketing and Medical Education, Alternative Care, and general as well as specialized medical practices. Dr. Andujar has hosted both television and radio shows to educate and inform the public on health issues and preventative health strategies.